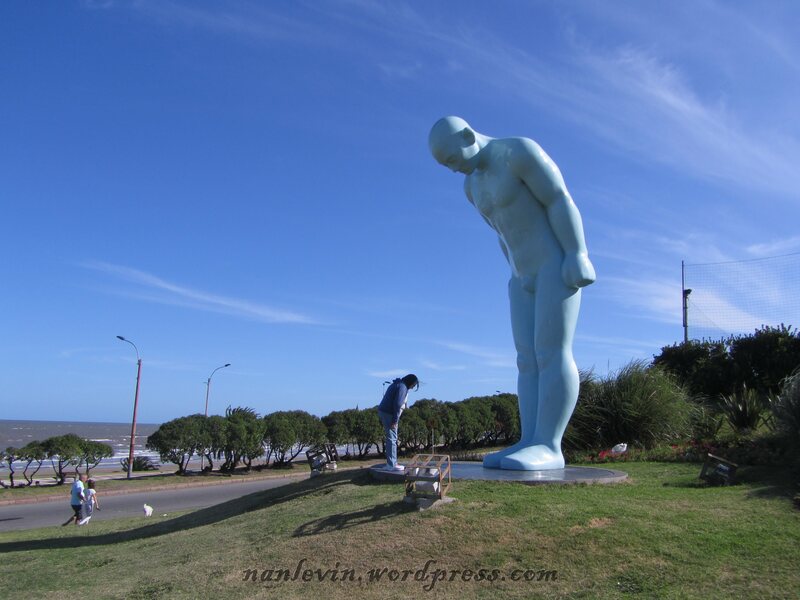 If you have followed our adventure for the past few months you will already know how the Uruguayans are into their statues and monuments. This is way cooler than anything we had seen before. Greetingman stand 6 meters high unveiled back in 2012. 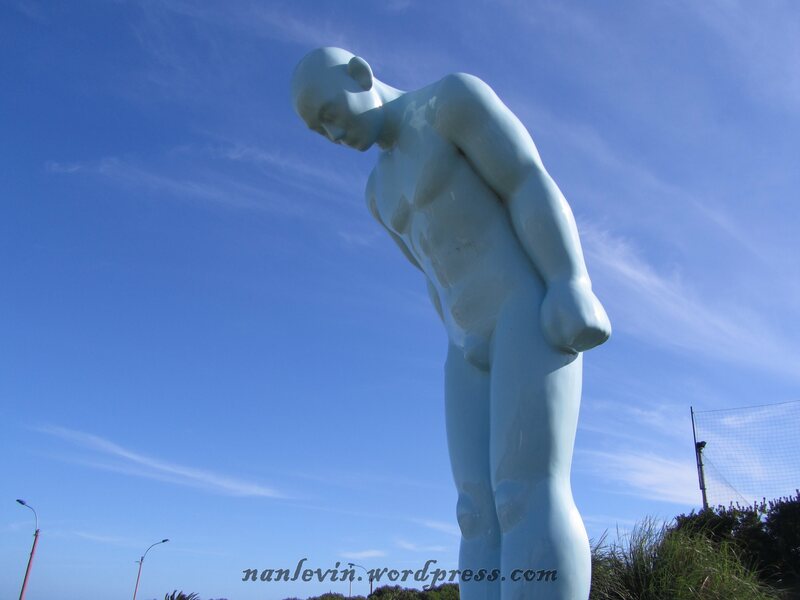 Its main artist is Yoo Young-ho (South Korean sculptor) and there are a series of these statues, this being the first – the second in South Korea and the third in Panama City, Panama. The statue depicts a man bowing in a typical Asian greeting. The color blue means lack of prejudice. 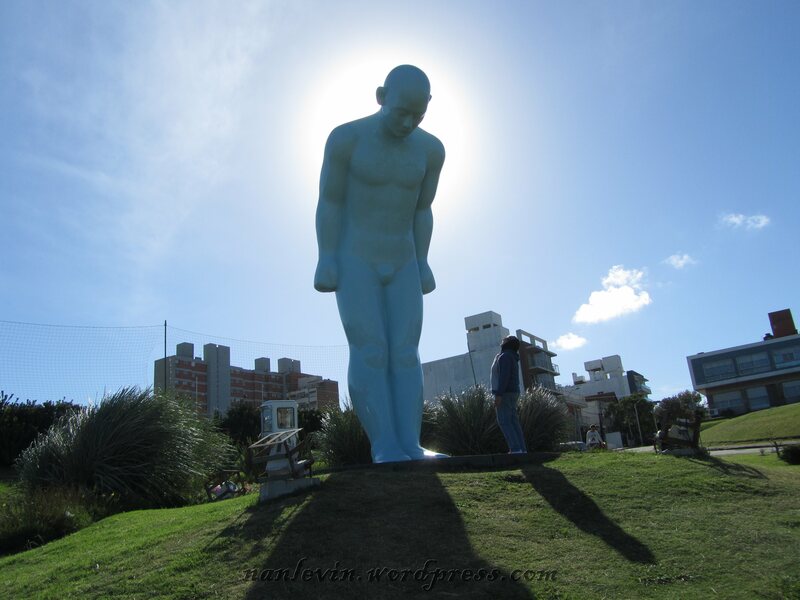 The statue overlooks the water in this Buceo neighborhood. I am bowing in return to show my respect. He is some huge dude. 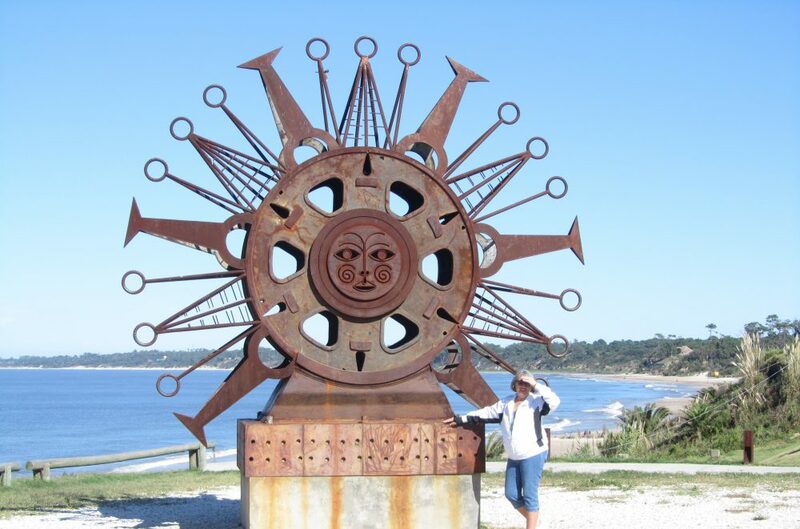 This entry was posted in Buceo Montevideo Uruguay, Greetingman, Montevideo Uruguay, Monuments, Statues and tagged Beach living, Buceo Montevideo Uruguay, Montevideo Uruguay by Nancy Levin. Bookmark the permalink. Wow! That is amazing. Good shot with the sun behind the greeting man.